Today's story is from Claudio Nichele . I refrain mysel to anticipate anything, just enjoy the story! 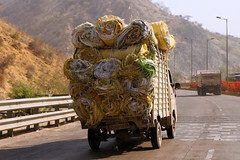 I prepared well in advance all practical details of this solo trip to India, like visa, vaccines, drugs, itinerary, hotels, etc. My goal was a journey which makes me grow internally rather than only enjoy the visit to tourist places. Therefore I also prepared myself to accept the unexpected as part of the journey. 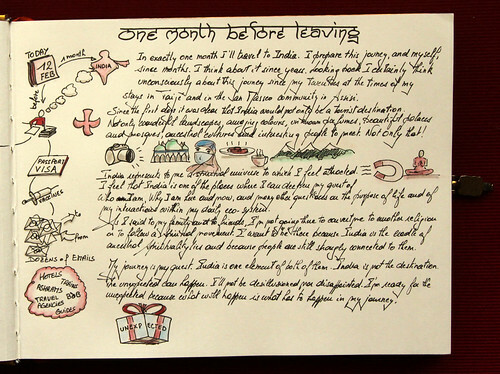 See my sketchnotes one month before leaving about that. I also prepared carefully my material for photography and for sketchnotes. Considering my desire to travel light, I chose the essentials only. One notebook, 3 black markers (0.2, 0.5, 0.8), one marker for shadows, my favourite black pencil, a set of Faber-Castell watercolour pencils, an eraser and a pencil sharpener. All these preparations turned out to be what I've had need, no more no less. 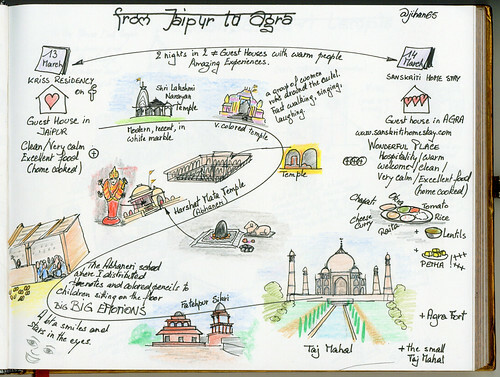 One thing only did not go as I had imagined it: sketchnoting on place! 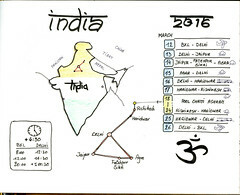 Before leaving I planned to sketch during the day and every evening what I've seen, learnt and experienced during that day. This plan was based on wrong assumptions; that I would have had the availability, the right conditions and the proper mental state. I was immediately faced to a different reality. My first days were very intense with a tour by car (with a driver with me). I visited many cities and beautiful sites on the pre-established itinerary from Delhi to Jaipur, then Agra, then Delhi again. See the photos and the sketchnotes. During these days I changed the itinerary on the spot from time to time to follow my intuition or my driver's advices. 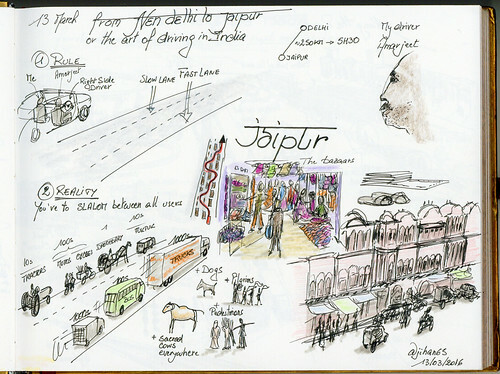 Taking notes in the car while traveling was quickly discarded due to the mad Indian traffic or due to the bad road conditions. I was only able to write down keywords and some signs on the corner of my pages. At night, after a shower and a good vegetarian dinner (in different places every night) I was so exhausted that I felt unable to take decent notes or to draw. I still was thinking about my second week to do that correctly. 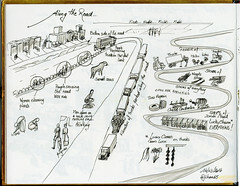 After the tour by car, I left my driver in Delhi and, alone, continued my trip by train, towards the north. Well, I finally managed to start to fill in some pages in the train. It's worth to mention that this was possible only because this train offered me good conditions to do it. This was far to be the case in the train on return one week later. 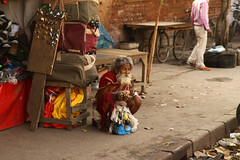 During my stay in Haridwar and in Rishikesh I was again faced to the same difficulties to take notes. 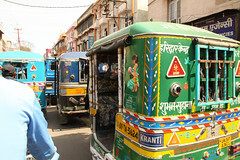 Traveling by bus, tuk tuk or rickshaw is worse than by car. But I continued writing down keywords and signs, many signs, on another small notebook that I bought locally. Then I arrived in the Phool Chatti ashram, a heaven on earth, for a retreat of one week. I was expecting to have time to sketch, to write, to draw. Again, wrong assumptions... 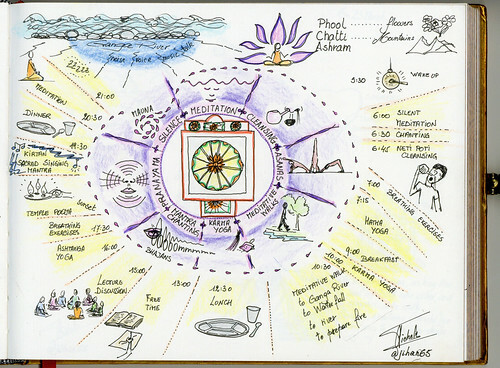 The daily schedule of the ashram was intense; see one of my sketchnotes on it. I also spent the free time of my first days washing my dirty clothes. I had the opportunity to work on my sketchnotes in the last days of my stay but in the meantime I continued with keywords and signs on the small notebook. The drawings of the meditative walks are the only pieces that I did on the moment while I was on the place. The watercolor on the banks of the Ganges river is even done with water from the river itself. Last but not least, the best feedback I received on my return after I published my photos and my sketchnotes is about the latter. 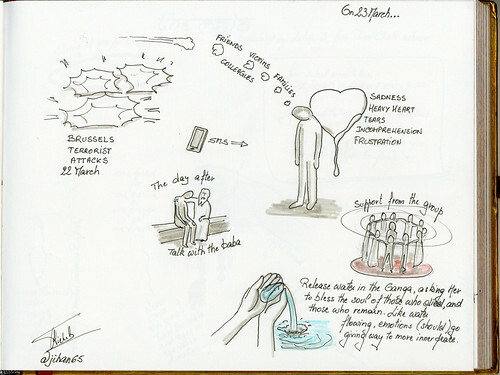 People told me that they were able to perceive more my emotions through the sketchnotes than through photos. 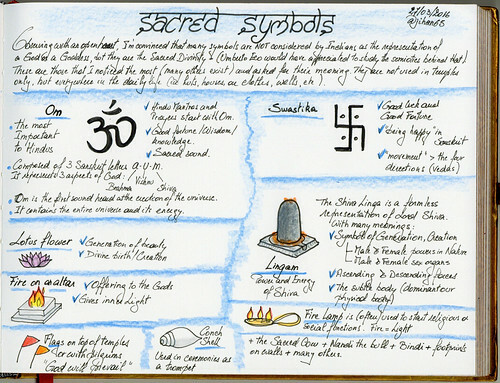 Another proof of the power of handmade sketchnotes. I'm speechless Claudio! But there is one more of your sketchnotes I want to add to your story. For our readers: Claudio live and work in Brussels. Thank you SO MUCH for sharing this story with us, Claudio! Apr 22 EARTH DAY 2016 - Take Action Like a Sketchnoter!